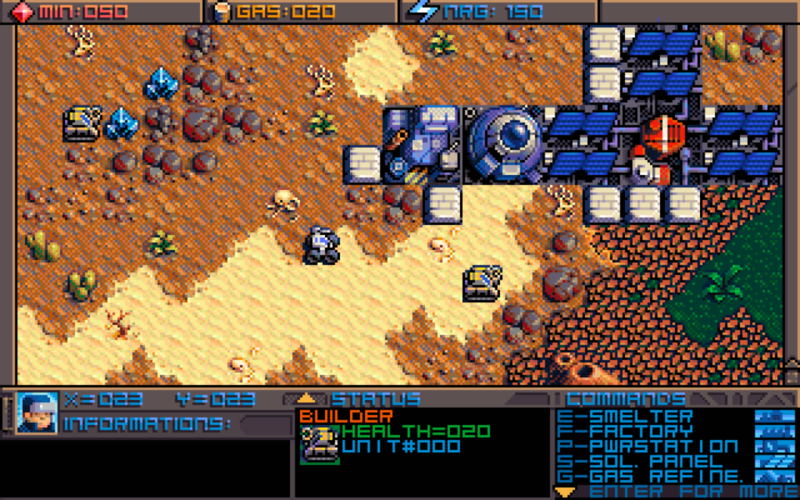 Sequel to Planet X2 (C64), Planet X3 is upcoming RTS for MS-DOS. The Kickstarter campaign reached its funding goal in less than one day (mighty impressive! :). You may already know the author of the game, David Murray, from his YouTube channel The 8-Bit Guy. Planet X3 will run even on humble 8088 CPU (as found in Tandy 1000) and apart from classic graphics modes (CGA 320x200x4, VGA 320x200x256) will support few exotic ones – composite CGA 160×200 in 16 colors and Tandy 160×200 in 16 colors. The price of a digital download of the game is set at 10$, standard boxed version could be yours for 35$.